Feel happier than you've ever felt before? 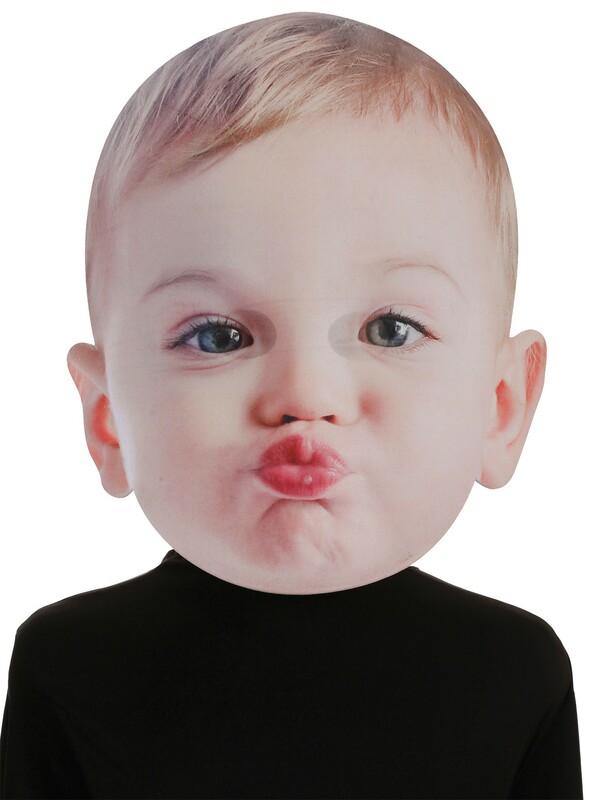 Make sure the world knows with this amazingly photographically real looking kissing baby face. This mask is sure to get your point across about how overwhelmingly happy you are! One size fits most adults. Giant masks are 13" x 18" and made of foamboard.